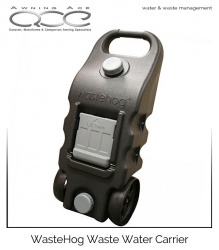 Still, the largest capacity water carrier/roller available the Streetwize WaterHog holds a massive 51 litres of fresh water. 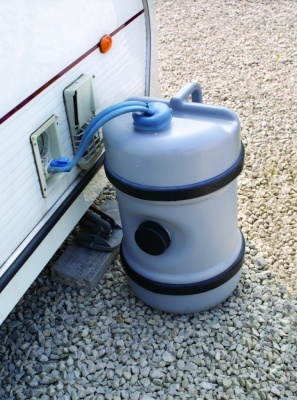 Constructed from high food grade polyethene materials with filler hose included the WaterHog is simply the best way to transfer fresh water to your caravan, motorhome, campervan or boat. 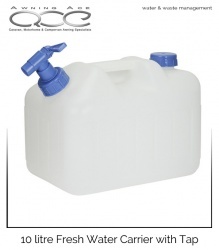 Widely used by transport cafe's and seen everywhere from village fetes to roadside construction sites these water carriers are well respected and extremely versatile. The Streetwize Waterhog has continued to evolve over the years and now has even better tyres with improved ground clearance making rolling the 'Hog' much easier. 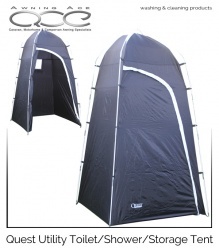 The sturdy detachable handle includes a large soft grip padded area for improved grip. With two filling apertures, the Waterhog can be filled either upright or on its side with the top aperture designed to accept larger caravan submersible water pumps. 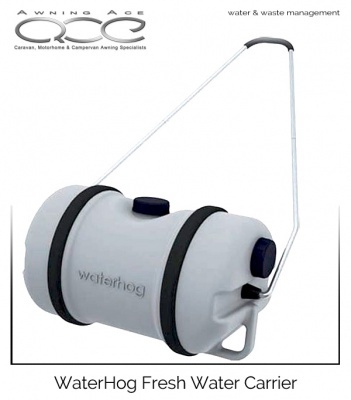 Robust and durable the Waterhog really is the easiest, safest and best way to transfer your families fresh water on the go.